If you take their [three average Caucasian, Negroid, Mongoloid men] skins off, there’s no way to tell them apart. The heart, liver, lungs, blood – everything’s the same. He’s dead. But he wouldn’t be if we had been more scientific. The right donor could belong to any race – the four blood types appear in all races. The “racist” green devil knew better. The intuition that blood and organ compatibility are correlated with genetic proximity was and still is essentially correct. The jewish, communist, Boasian anthropologist “facts” about blood, as stated in The Races of Mankind and The Brotherhood of Man, were incomplete. It was a fraud really, based on wishful thinking about equality and a vague promise of illusory mutual benefits, e.g. a larger, broader pool of blood donors. Their methods – specifically the attempt to scapegoat “racists”, and specifically for causing death by stupidity about blood – are telling, and indicate that their motives were neither noble nor benign. The research and discussion of blood has ever since been distorted and retarded not by “racism”, but by anti-“racism”, the ideological aversion to any understanding based on race. 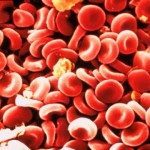 Blood science – hematology – is in fact a subset of race science, continuing under the guise that it has nothing to do with race, or even that it somehow proves race is a social construct. Blood differences are less visible than differences in skin, hair, or face, but are more important in that they can be a matter of life or death. There are two main health issues: transfusion reaction, and hemolytic disease of the newborn. The negative consequences of mixing blood types range from merely inconvenient allergic reactions, to kidney damage or failure, to death. 1665 – The first recorded successful blood transfusion occurs in England: Physician Richard Lower keeps dog alive by transfusing blood from other dogs. 1818 – British obstetrician James Blundell performs the first successful transfusion of human blood to a patient for the treatment of postpartum hemorrhage. 1901 – Karl Landsteiner, an Austrian [jew] physician, discovers the first three human blood groups. 1939-1940 – The Rh [Rhesus] blood group system is discovered by Karl Landsteiner, Alexander Wiener, Philip Levine and R.E. Stetson. Infections were once the main risk, but they have become extremely rare with careful testing and donor screening. Transfusion reactions and other non-infectious problems are now more common. Hemolytic reactions occur when the recipient’s serum contains antibodies directed against the corresponding antigen found on donor red blood cells. This can be an ABO incompatibility or an incompatibility related to a different blood group antigen. Disseminated intravascular coagulation (DIC), renal failure, and death are not uncommon following this type of reaction. The most common cause for a major hemolytic transfusion reaction is a clerical error, such as a mislabelled specimen sent to the blood bank, or not properly identifying the patient to whom you are giving the blood. DO NOT ASSUME IT IS SOMEONE ELSE’S RESPONSIBILITY TO CHECK! Allergic reactions to plasma proteins can range from complaints of hives and itching to anaphylaxis. Such reactions may occur in up to 1 in 200 transfusions of RBCs and 1 in 30 transfusions of platelets. White blood cell reactions (febrile reactions) are caused by patient antibodies directed against antigens present on transfused lymphocytes or granulocytes. The risk for febrile reaction is 1 in 1,000 to 10,000.
is there a correlation between blood types race and/or ethnicity?? There is some correlation betwen blood type and some populations, but not enough to use it to define races. As with other characteristics such as skin color, there is more variation within a population than between 2 populations of humans. Therefore scientists do not recognize races within the human species. Actually they do, they just dance around it, using other terms. There is no real correlation between blood types and ethnicity. But there are a few distinct differences in the distribution of blood types among different ethnic groups. There is no real correlation. But there is some correlation. This is the kind of nonsense anti-“racist” ideology produces. Blood is a complex, living tissue that contains many cell types and proteins. Distinct molecules called agglutinogens (a type of antigen) are attached to the surface of red blood cells. White Blood Cells (WBCs) are the largest of the three types of cells and are responsible for fighting infections or germs. White Blood cells have a rather short life cycle, living from a few days to a few weeks. One drop of Blood can contain from 7,000 to 25,000 white Blood cells. If an invading infection fights back and persists, that number will significantly increase. Red Blood Cells (RBCs) make up approximately 40% of Blood volume, carry oxygen to the cells of your body and return to the lungs to excrete carbon dioxide. Platelets, the smallest of the Blood cells; make up 5% to 7% of total Blood volume. Platelets form a ‘mesh’ net to form clots in the Blood to help stop bleeding. One to two percent of Blood donors are African-American Black. Rhesus negative (Rh-) is found almost exclusively among Europeans, with the highest incidence among the Basque. The genetic mutation behind it seems to have appeared about 35,000 years ago. There is some mystery and confusion about the nature of Rh- and its origins. It appears to be an ancient European trait, pre-dating the Aryan invasions. The indigenes in several locations known to have been lately occupied by Cro-Magnons also exhibit relatively high incidence of Rh-. See, for example, The RH Negative Blood Type: Basque & The Cro-Magnon. In the most prominent anti-“racist” sources not much is made of the fact that Rh- is distinctive of Whites. Into the vacuum created by this reticence floods all manner of speculation having to do with Rh- being the dominant blood type among European leaders, presidents and royalty, and somehow related to the Merovingians. Some of it veers into weirdness concerning extraterrestrials and/or reptilians. Special-care pregnancies – Blood Group (Rh) Incompatibility concerns Rhesus disease, which afflicts Rh- women with Rh+ babies, usually during their second and subsequent pregnancies. A racial difference which is an apparent liability for Whites. The even more distinctive Rh- differences are buried in that table of numbers. For example, comparing the Caucasian and Asian rates, we see O- differs by 8X, A- by 14X, and AB- by 10X. Some patients require a closer blood match than that provided by the ABO positive/negative blood typing. For example, sometimes if the donor and recipient are from the same ethnic background the chance of a reaction can be reduced. That’s why an African-American blood donation may be the best hope for the needs of patients with sickle cell disease, 98 percent of whom are of African-American descent. This is a direct contradiction of the jewish/communist blood “facts”. Is the American Red Cross run by crypto-nazi “racists”? Of course not. Anti-“racism” is really just anti-Whitism. In this case, and others, we can see it’s perfectly OK to talk about race and blood, at least as long as it’s about benefiting non-Whites. More on this in the next installment. Blood provides an ideal opportunity for the study of human variation without cultural prejudice. The majority of the people in the world have the Rh+ blood type. However, it is more common in some regions. Native Americans and Australian Aborigines were very likely 99-100% Rh+ before they began interbreeding with people from other parts of the world. This does not imply that Native Americans and Australian Aborigines are historically closely related to each other. Most Subsaharan African populations are around 97-99% Rh+. East Asians are 93-99+% Rh+. Europeans have the lowest frequency of this blood type for any continent. They are 83-85% Rh+. The lowest known frequency is found among the Basques of the Pyrenees Mountains between France and Spain. They are only 65% Rh+. The distribution patterns for the Diego blood system are even more striking. Evidently, all Africans, Europeans, East Indians, Australian Aborigines, and Polynesians are Diego negative. The only populations with Diego positive people may be Native Americans (2-46%) and East Asians (3-12%). This nonrandom distribution pattern fits well with the hypothesis of an East Asian origin for Native Americans. These patterns of ABO, Rh, and Diego blood type distributions are not similar to those for skin color or other so-called “racial” traits. The implication is that the specific causes responsible for the distribution of human blood types have been different than those for other traits that have been commonly employed to categorize people into “races.” Since it would be possible to divide up humanity into radically different groupings using blood typing instead of other genetically inherited traits such as skin color, we have more conclusive evidence that the commonly used typological model for understanding human variation is scientifically unsound. The more we study the precise details of human variation, the more we understand how complex are the patterns. They cannot be easily summarized or understood. Yet, this hard-earned scientific knowledge is generally ignored in most countries because of more demanding social and political concerns. As a result, discrimination based on presumed “racial” groups still continues. It is important to keep in mind that this “racial” classification often has more to do with cultural and historical distinctions than it does with biology. In a very real sense, “race” is a distinction that is created by culture not biology. Caucasoid – a presumed human “race” consisting of Europeans and other closely related people. The classification is based on the discredited typological model. The term “Caucasoid” was derived from the Caucasus Mountains on the southeast fringe of Europe between the Black and Caspian Seas. This region was once thought to be the homeland of Indo-Europeans. Mongoloid – a presumed human “race” consisting of Asians and other closely related people. This classification is based on the discredited typological model. The term “Mongoloid” was derived from the Mongolians of North Asia. Negroid – a presumed human “race” consisting mostly of Sub-Saharan Africans. This classification is based on the discredited typological model. The term “Negroid” was derived from the Latin word for the color black. So-called “race”, discredited by anti-White/anti-“racist” lies and fraud. Meanwhile, science marches on. Europeans weren’t the first to do transfusions . Incas were doing transfusions centuries before Columbus . Pre-Columbian Incas could do transfusions because all Inca are type O (as are all South American Indians). Another racial type of blood is Diego’s Antigen . Only people with Mongol/East Asian/American Indian ancestry have Diego’s Antigen . Many Russians , Ukrainians , Poles , Hungarians , some Germans and Swiss and many Eastern French have Diego’s Antigen . It is a genetic legacy of the Mongol Invasion of Europe in the 13th and 14th centuries . Ethnographers can use a map of the population frequency of those with Diego’s Antigen and tell where the principal Mongol camps in Europe were ( this is very useful as the recorded history of Europe in the 13th and 14th is so sparse , do to the social upheaval of the Mongol Invasion ). Teeth will really tell the story of race , Not just the major races , but tribe and sub-tribe . Grooves in teeth will show if an African is Zulu , Dinka , Shona , Hutu etc . Microscopic examination of these grooves can even show the sub-tribe , such as North of river or South of river , forest sub-tribe or savannah group of the same tribe . Teeth are really very useful in racial and ethnographic studies . Firstly , because they can give such a precise racial definition of the people under study and secondly , because teeth are so much harder than bone they will last millenniums longer than bone and endure more environmental degradation . So much of Race Science is kept from the public . Does anyone have detailed accurate information on race and fingerprints ? Patterns and correlations to race . Tan, I think to have heard that in emergencies, blood can be replaced by saline solution and that donor blood is not needed at all; since you study about blood for the programs, can you confirm that, stumpled over something like that? (claim being made that all that blood business actually happens for all different reasons, namely black-magical reasons, and being unneccessary, similarly vaccinations? Sorry, bit of a strange subject…). (Fred Wilson, re teeth and race… well, then that example how we are all the same has to be extended a bit: not only have they to strip off the skin, and tear out the eyes and all hairs, and now, to drain the blood: but also to tear out all the teeth… aah and then finally the remaining meatloafs are…supposedly… really entirely the same… no difference between men, isn´t it).